Today the Hawaiʻi State Department of Health issued Maui Grown Therapies a Notice to Proceed with manufacturing cannabis derivative products at its Production Center located in Upcountry Maui. It marks the third mandatory regulatory approval the company has received this month, moving the state’s first medical cannabis dispensary closer to serving patients this summer. Earlier, on May 16, MGT’s second production center earned a Notice to Proceed from DOH allowing the company to vastly expand its perpetual harvest system that has been in operation at MGT’s first production center since February. 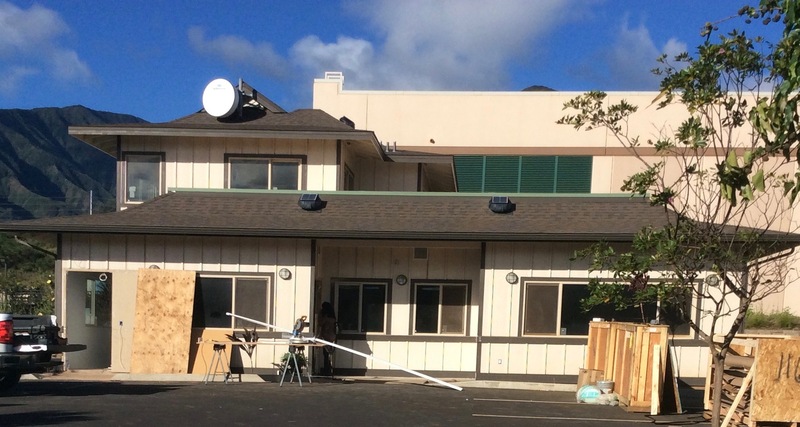 On May 19, the company also passed its pre-retail inspection by DOH for its first dispensary at 44 Paʻa Street in the Maui Lani Village Center. The authorization to proceed with manufacturing cannabis products allows MGT to begin formulating its proprietary line of concentrates, lotions, tinctures, oils and capsules developed under the guidance of the company’s Science & Medical Advisory Board chaired by Andrew Weil, MD. MGT’s botanical oil extraction system utilizes subcritical and supercritical CO2 – a safer, cleaner, purer way to extract plant oils. 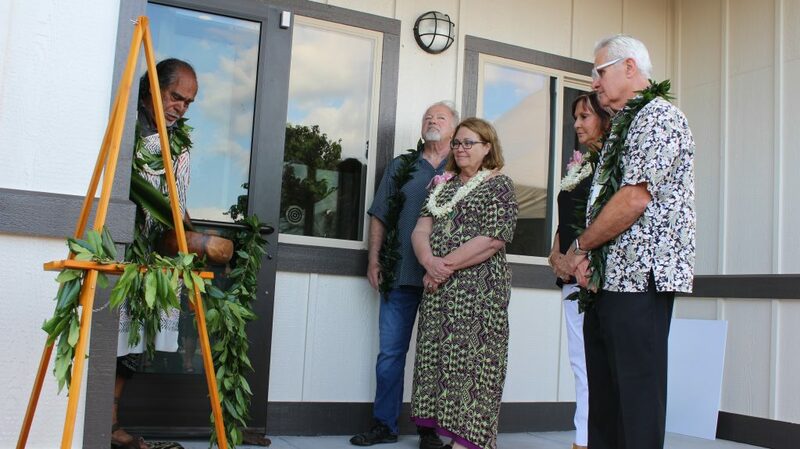 With the opening of its second production center, MGT representatives say the dispensary can satisfy forecast demands for Maui’s medical cannabis patients for the next several years. Both production centers are powered by a solar micro-grid system and are irrigated by a water recapture system that recycles 100% of the water used for plant cultivation. DOH certification of a testing laboratory remains the last significant hurdle to overcome before MGT can provide medical cannabis to qualifying patients. 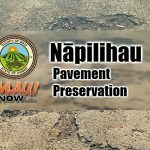 Hawaiʻi law requires third-party lab testing of all products prior to sale. A number of labs have applications pending with DOH, including Kahului-based PharmLabs Hawaiʻi, LLC. 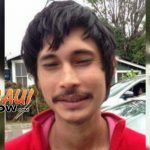 Hundreds of people have attended the company’s public open houses in recent weeks with more planned for the Maui Lani dispensary in June. The company is actively recruiting qualified employees to fill over 25 positions at its Upcountry Production Center and Kahului dispensary. Those who sign up on the company website will receive advance notice of new job openings and special events. 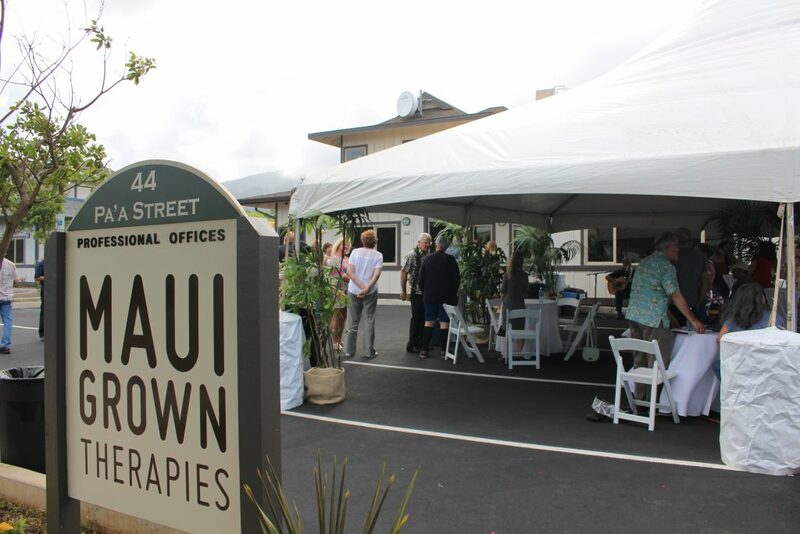 Maui Grown Therapies, cannabis dispensary at Maui Lani in Kahului. Blessing event, 3.24.17 by Wendy Osher. Maui Grown Therapies, cannabis dispensary at Maui Lani in Kahului. Blessing event, PC: 3.24.17 by Wendy Osher. Polycyrstalline PF modules will power MGT’s cultivation. 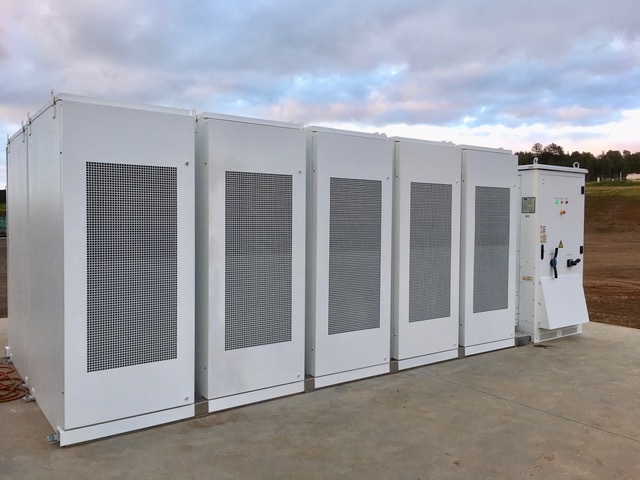 MGT Lithium Ion Battery Stacks store 1 MW of Electricity. 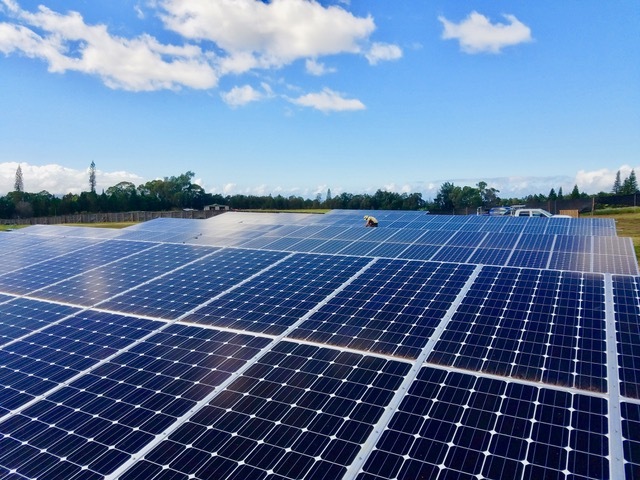 MGT’s Ground-mounted solar panels convert sunshine to power.